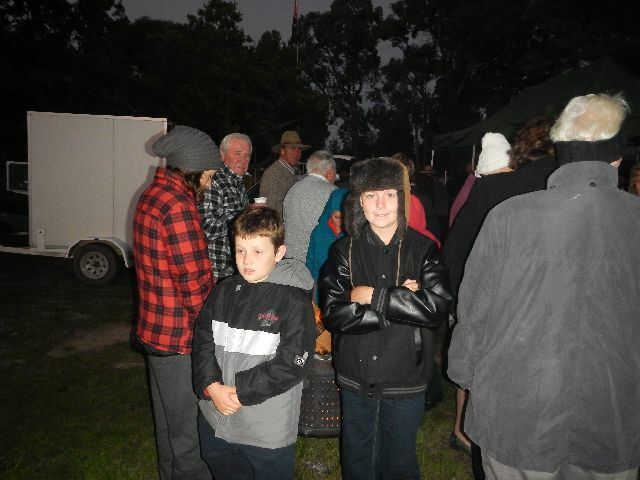 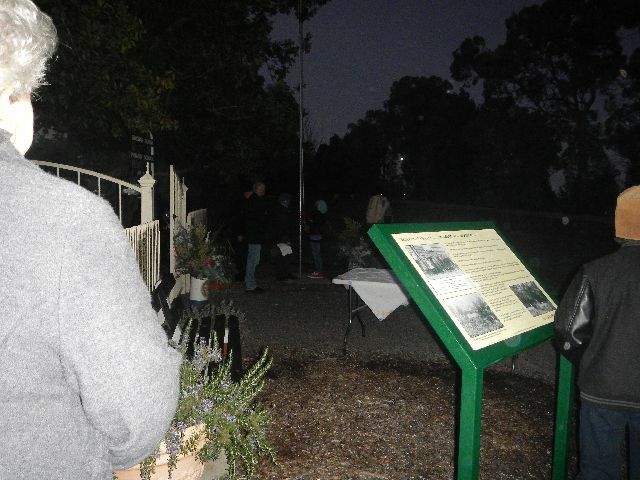 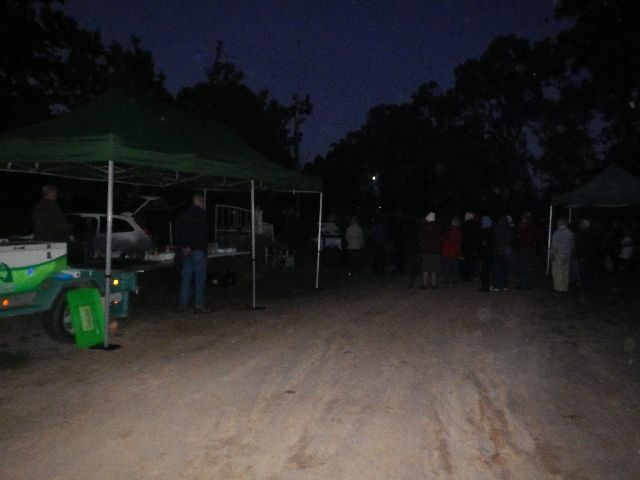 The Dawn Service was held at 6am with the temperature at 6 degrees Celsius, the coldest night so far this year. 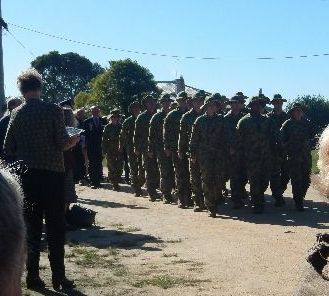 Clive Norfolk called the “Stand To” and Jeff Mc Cole read The Ode. 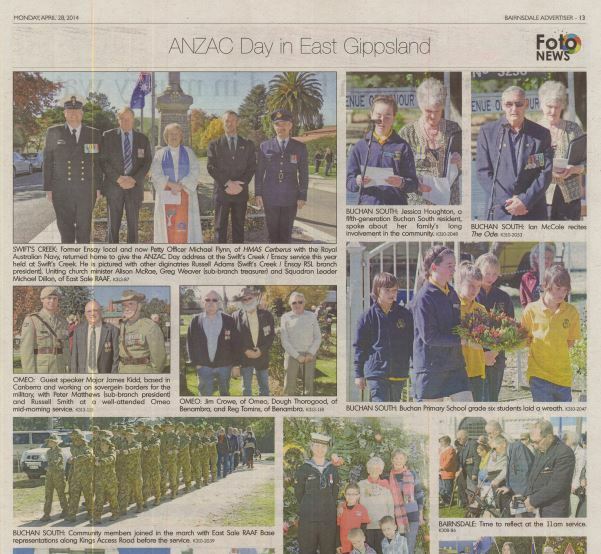 East Gippsland Shire Council Deputy Mayor Peter Neal was our guest speaker who recounted the story of the origin of The Last Post. 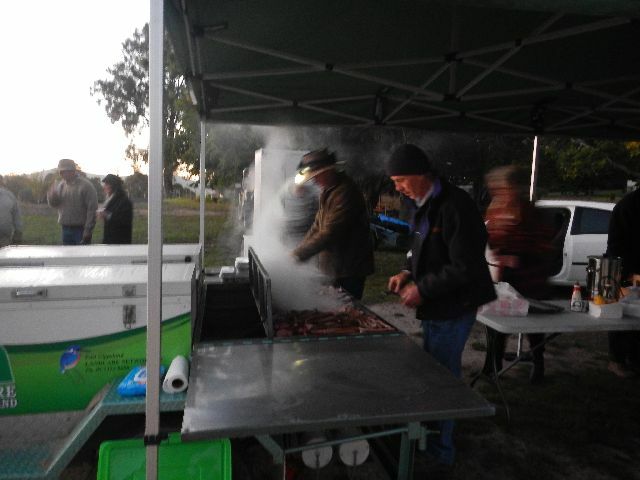 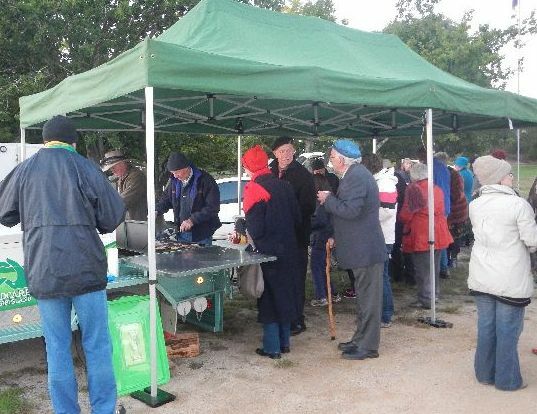 The flag was raised and all were invited to the gunfire breakfast cooked by Jamie Houghton and Danny Mitton. 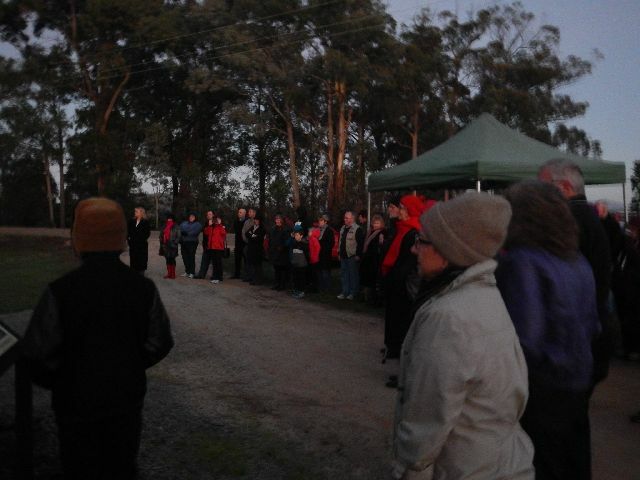 Approximately 70 people attended this service. 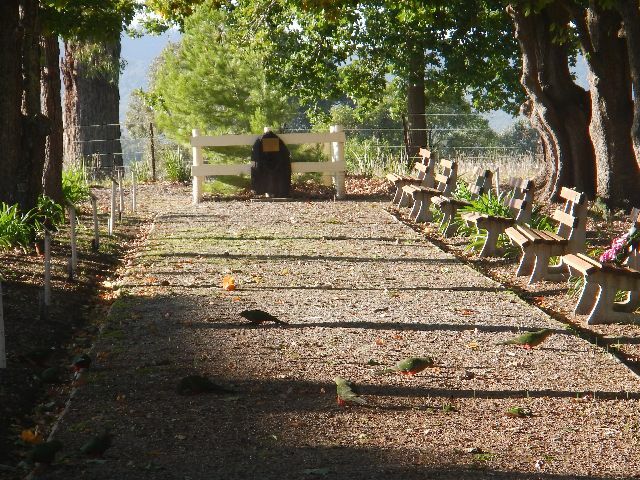 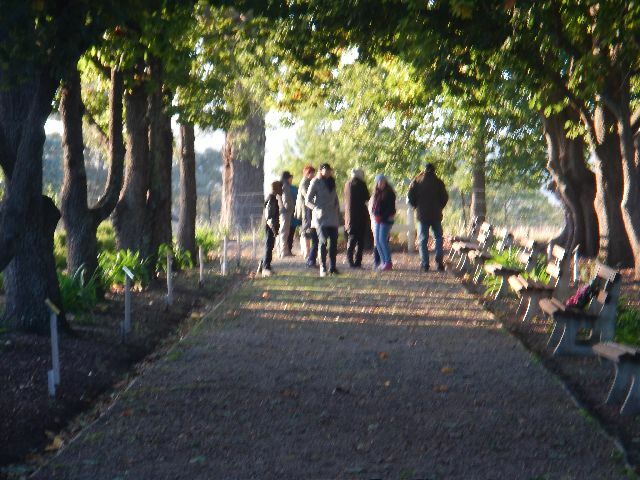 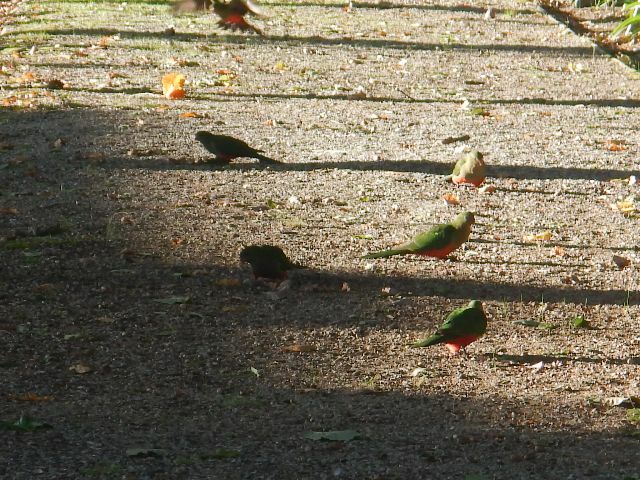 A beautiful day transpired with the sun streaming into the avenue and the parrots coming from the flowering gums in the street to feast on the acorns in the avenue. 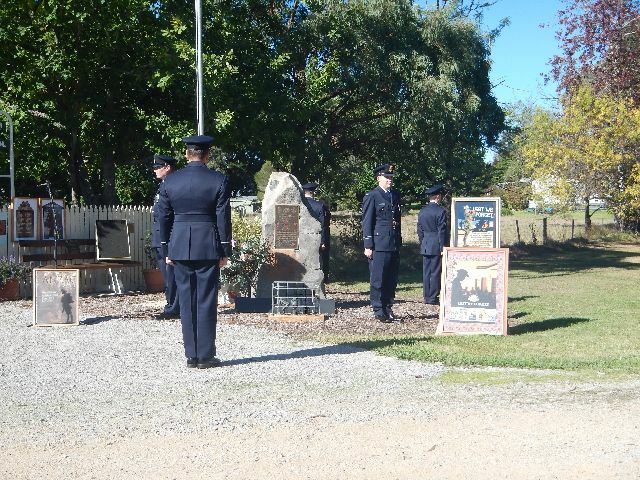 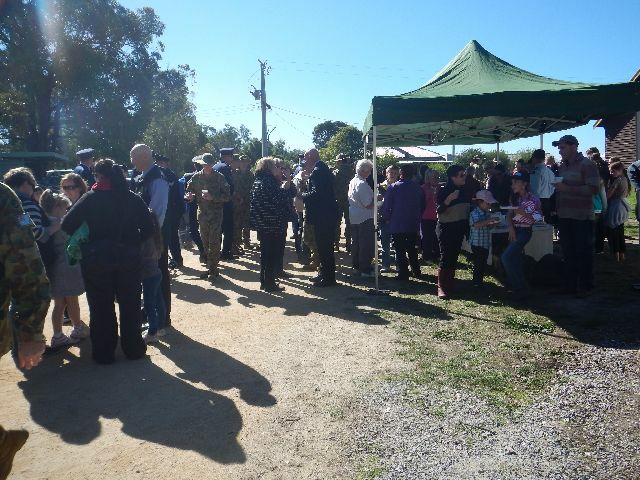 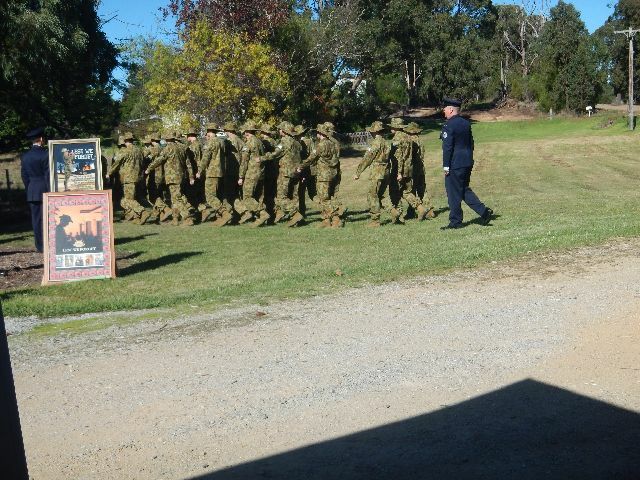 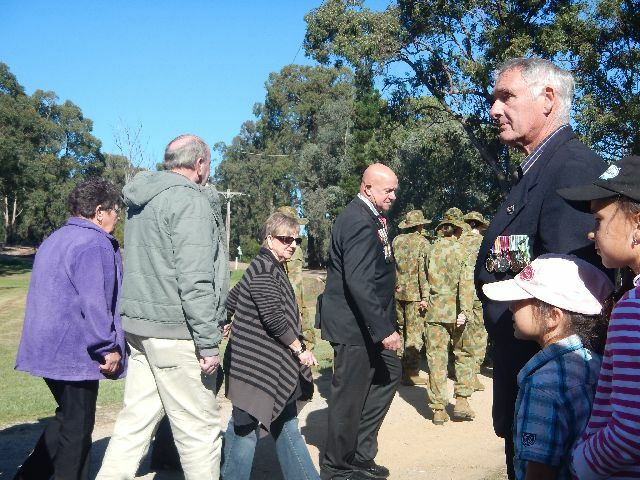 At the later service we had the RAAF contingent from Sale East attend this year and march along King’s access road being lead by our veterans Jeff Mc Cole and Clive Norfolk. 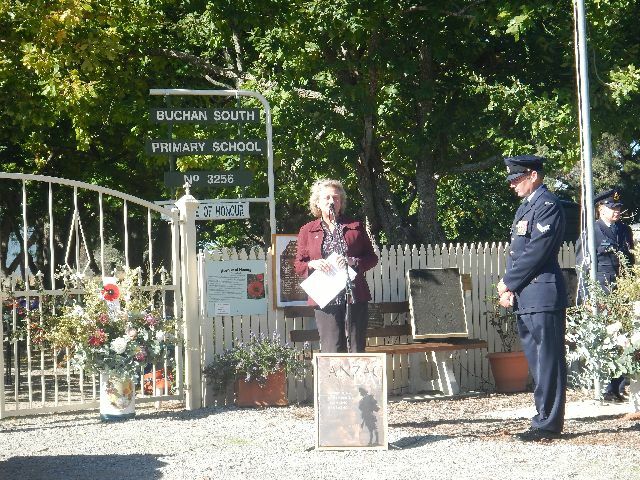 The welcome was presented by the new Avenue of Honour President Evelyn Schmidt. 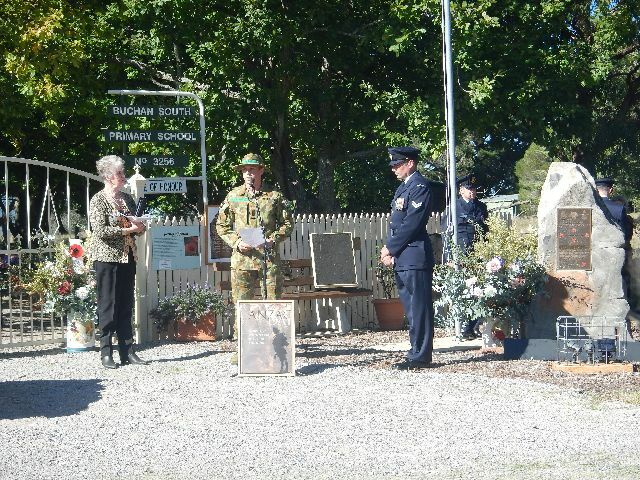 The ceremony was presented by the outgoing President Zillah Norfolk. 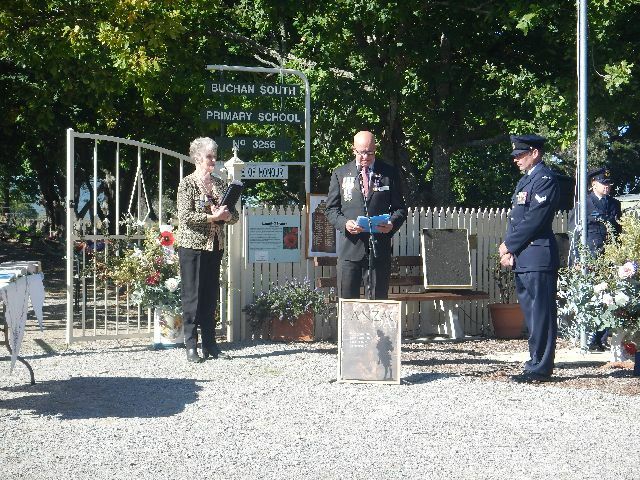 “Let there be peace” was played and then Councillor Peter Neal presented his address. 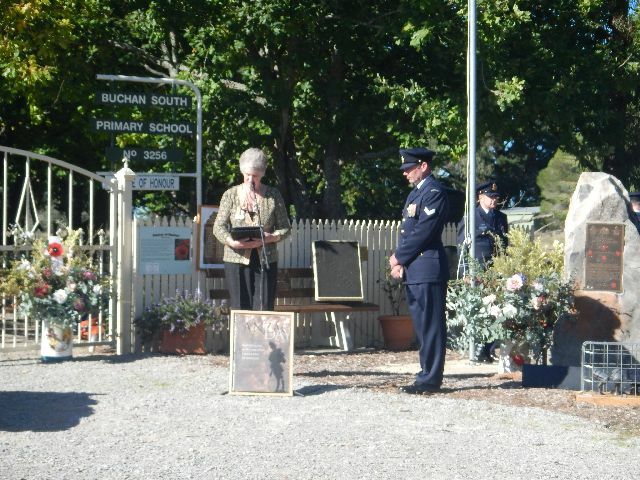 The address by the RAAF OTS Student was given by Officer Cadet Nelson Mirus. 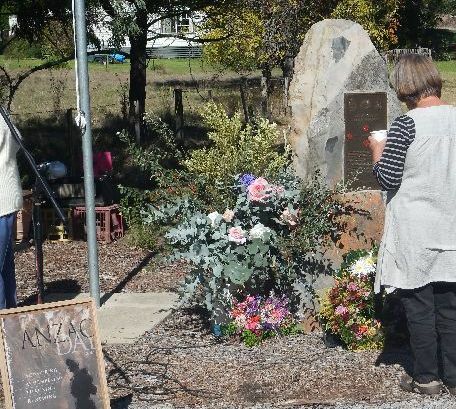 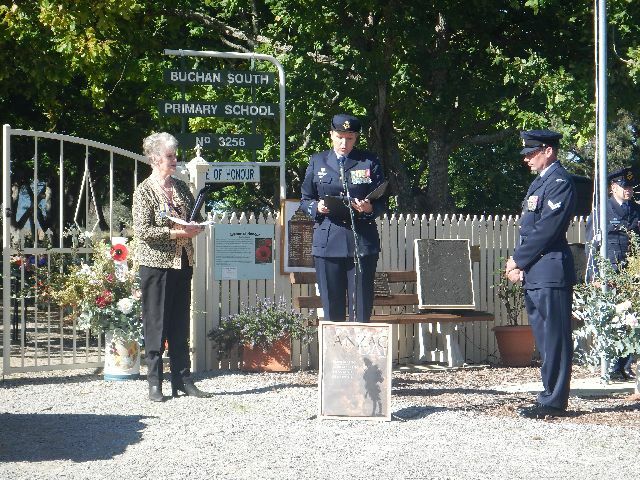 The OTS Staff guest speaker was Squadron Leader Fiona van Der Snoek and the Wreath laying for the RAAF OTS was completed by Flight Lieutenant Sue Stone. 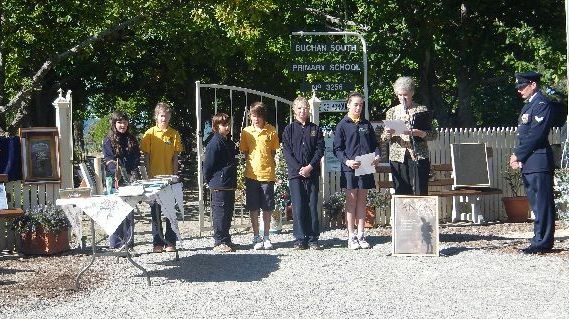 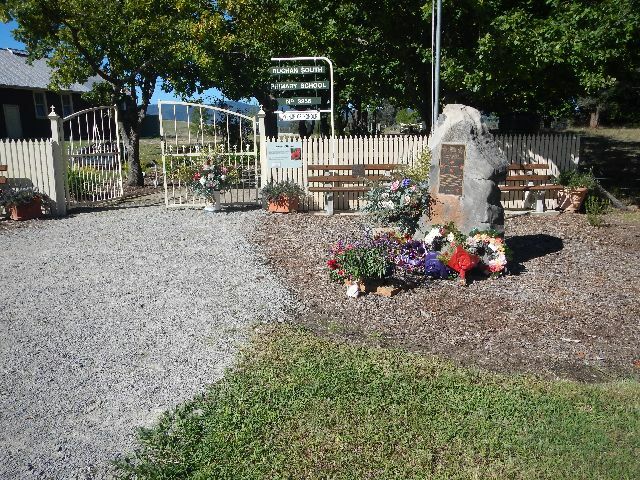 Grade 6 students from Buchan Primary School participating in the Rotary Community Awards introduced themselves and Jessica Houghton spoke about her 5th generation connection to the Buchan South Avenue of Honour. 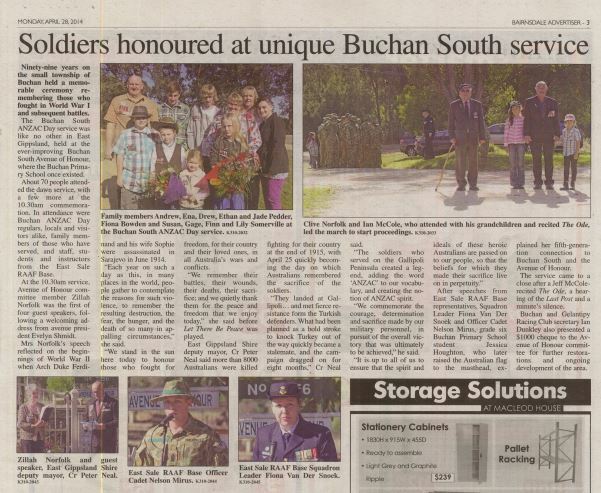 Ian Dunkley from the Buchan and Gelantipy Racing Club presented a $1000 cheque to the Avenue of Honour Committee. 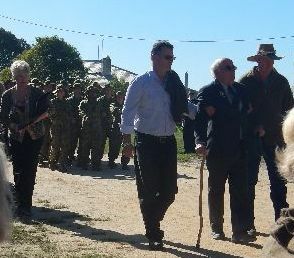 Jeff once again recited The Ode, The Last Post was played, one minute silence, reveille and the flag raised by Jessica. 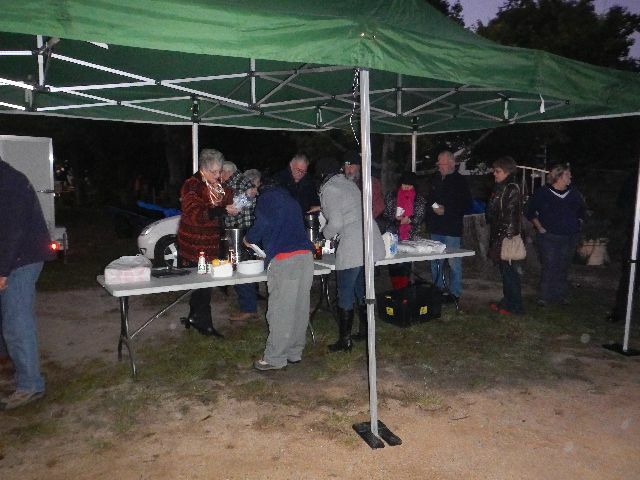 Advance Australia Fair played and then everyone enjoyed morning tea.